All H2OtoGro® hydroponic systems are manufactured using 100% Food Grade, "Blackout" style, customized reservoirs and lids. 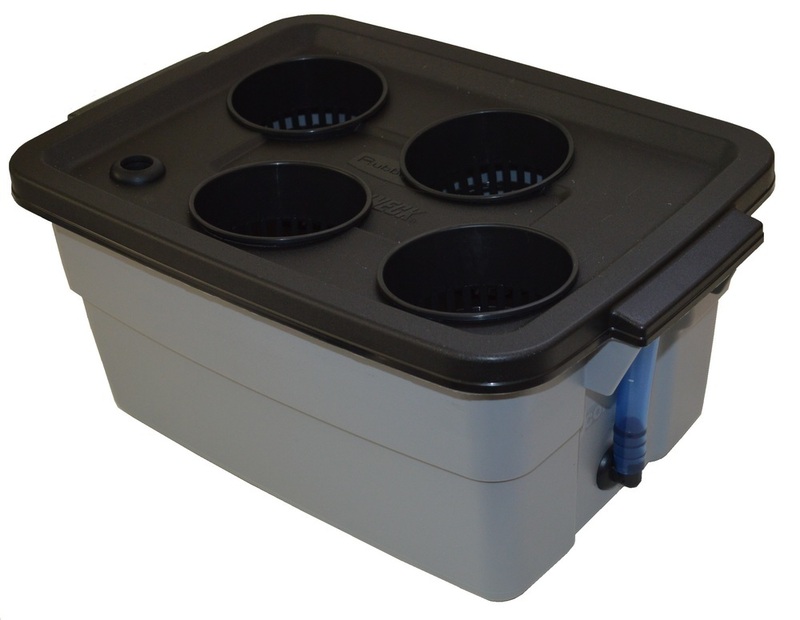 Perfect for seed-starting or cloning. Includes: Custom "blackout style" reservoir with custom lid and your choice of size and quantity of net cups.